BBK Power-Plus Series 81MM Throttle Body Gen 3 Hemi BBK Power-Plus Series 81MM Throttle Body Gen 3 Hemi, 81MM Throttle Body Gen 3 Hemi, Throttle Body Gen 3 Hemi, BBK Throttle Body Dodge Charger Hemi, 81MM Throttle Body Dodge Charger Hemi,Throttle Body Dodge Charger Hemi,BBK Throttle Body Dodge Magnum Hemi, [BBK Performance 1791 TB 81MM] - $389.95 : 3rd Strike Performance, Your Source for Late Model MOPAR Performance Parts and Accessories! 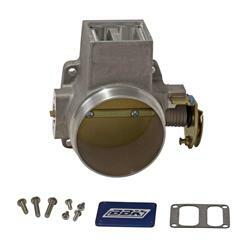 Notes: This throttle body is intended for conversion from drive-by-wire to a cable-driven throttle system. This is not an OEM replacement.